← Love Animals? Looking for a Match? Among the show’s many wonderful vendors, the 2018 New York Pet Fashion Show at the Hotel Pennsylvania on Thursday, February 8, will introduce two new Mayor’s Alliance for NYC’s Animals sponsors. We encourage event-goers to visit their booths to explore their innovative pet products designed to make life happier and healthier for dogs and their people. Mozzie Pants, a line of fashion clothing designed to promote harmony between dogs and their humans, will hit the red carpet at the New York Pet Fashion Show, demonstrating a range of special benefits. Mozzie Pants designs can help to clear up skin issues, covering hot spot areas with breathable fabric that deters dogs from chewing, licking, and exacerbating their skin problems. To protect dogs’ fur from intense snow mats and rain grime, Mozzie Polar Pants and Polar Tees use high-quality, water-resistant Polartec fleece to create a protective barrier that keeps dogs more comfortable. Jules Korth, founder of the Seattle-based Mozzie Pants, created this specialized line of pet wear for Mozzie, her rescue dog, and explains that Mozzie Pants are veterinarian-recommended as an ideal way to cover hot spots and wounds after surgery. 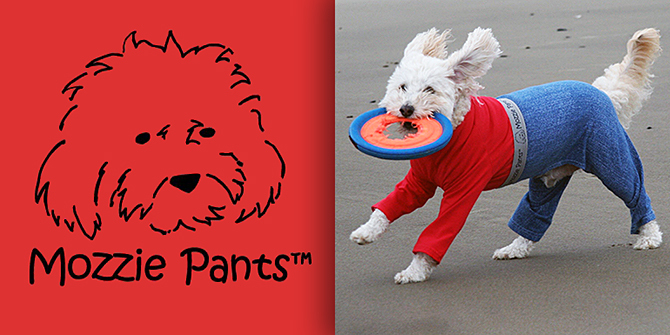 Mozzie Pants will be on sale at the New York Pet Fashion Show on February 8. They also are available to order on the MozziePants.com website (enter the coupon code NYPFS, and 10 percent of your purchase will be donated to the Alliance), and on Amazon.com. 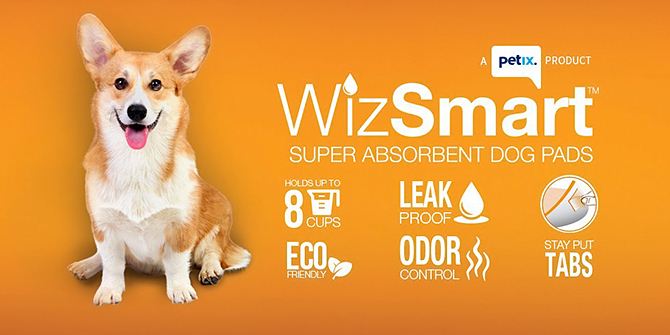 Potty training your new dog is a whiz with WizSmart Super Absorbent Dog Pads! WizSmart’s pee pads have several unique features and benefits unlike any other pee pads on the market. They absorb all the liquids your dog eliminates in a day, and they work every time and over-time, up to 24 hours! The pads dry quickly, resulting in no messy tracking throughout the home. They won’t leak. They don’t move around, thanks to adhesive stay-put tabs. And your dog always knows where to find them, thanks to a one-of-kind attractant formula. WizSmart dog pads are also eco-friendly, saving more than 80 million unused diapers every year. Instead of going to a landfill, the company repurposes unused diapers to construct their unique super absorbent pads. Petixco, the company that manufactures WizSmart Dog Pads, will offer free samples at the New York Pet Fashion Show. Krister Holm, the company’s president, will be on hand, and he is working with the Alliance to donate pads to Alliance Participating Organizations. Visit Petixco.com to locate a retail store where you can purchase WizSmart Dog Pads, or order online through the company. We hope you will come to the New York Pet Fashion Show on February 8 to enjoy the “Country Couture for Animal Rescue” runway show, learn more about these and other great pet care products, and support the lifesaving programs of the Mayor’s Alliance for NYC’s Animals!